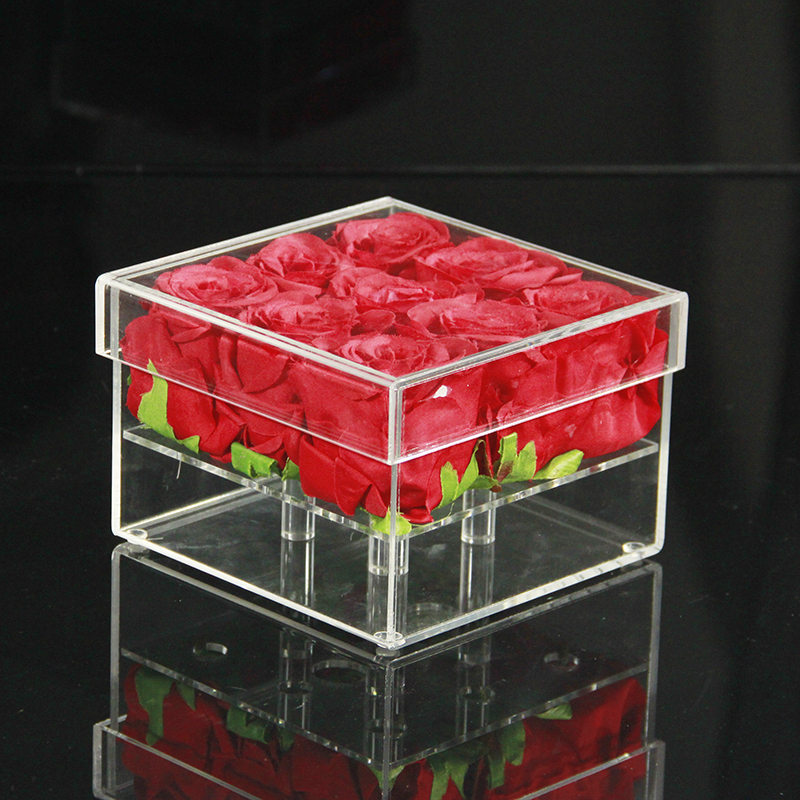 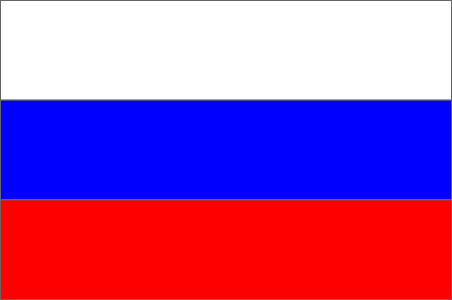 Material: High quality acrylic, study and transparent, stronger and safer than glass, much more impact resistant. 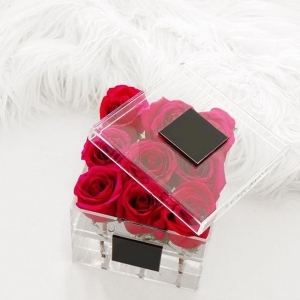 FLOWERS are NOT included. 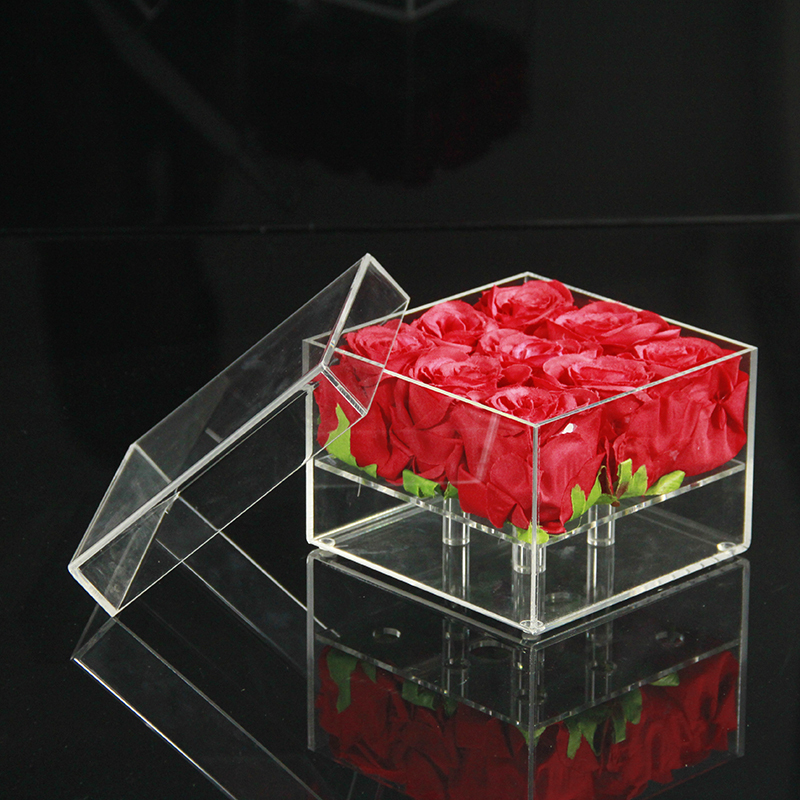 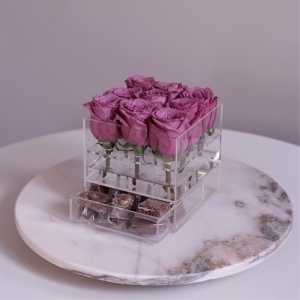 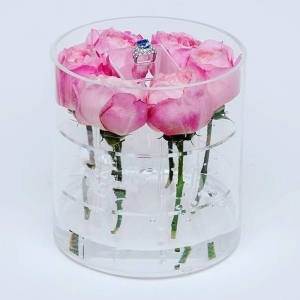 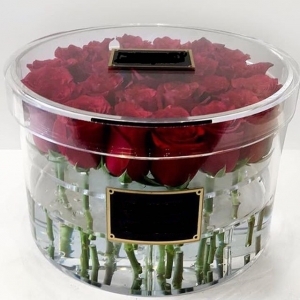 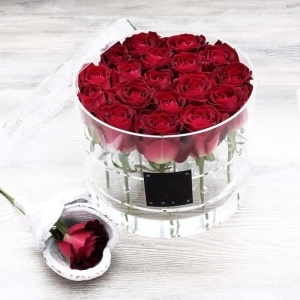 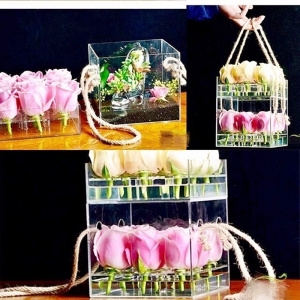 Features: Sealed bottom ,add the right amount water to keep your real roses fresh, removable cover can protect your flower from the dust. 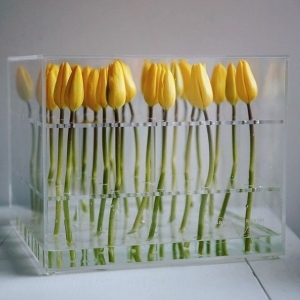 Simple & Modern Design: Perfect mix of elegance, style and innovation, all show at a glance. 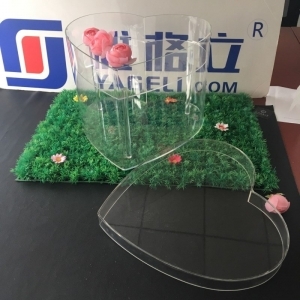 Wide Application: Multifunctional as lovely in corsages, mixed into bouquets, floral crowns, flower arrangements, photography props, DIY door wreath, Christmas, home, party or wedding decor etc.